CRIMSON BLUE is a young rock band from Moscow with fine live experiences and they have released one full-length album on physical CD and two internet releases. 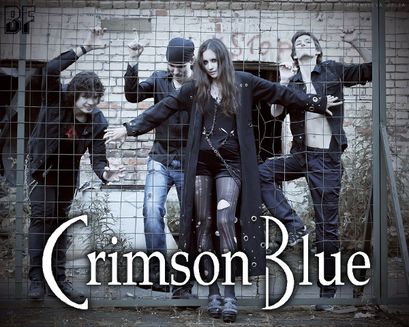 The birth of CRIMSON BLUE came as amalgamation of music interests of band’s masterminds, singer and keyboard player Dominica "Dani" Hellstrom and unique guitarist Iggy Hans. Originaly the band was called TRAGIC RAVEN formed in 2007, and then stabilized in Spring 2009, changed the present name to CRIMSON BLUE. The band played a very first show at Moscow XO club in the beginning of May, started to record their debut album "Iceland" immediately and was distributed on internet in 2010. 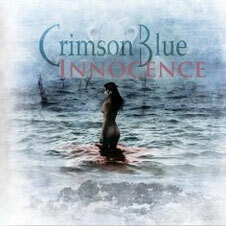 Summer 2011 their full-length first album "Innocence" was recorded at Destroy The Humanity Studio (Moscow) on 35 days only, and was self-released by the band on a well-designed CD-R. Album’s live presentation took place in December. At last CRIMSON BLUE became the phenomena too important to ignore, and they were taken the offer of publishing and recording contracts from a label M2BA (famous for success of Russian nu metal stars Slot). Almost immediately "Innocence" was sublicensed by famous Russian metal label Molot Records / Irond – finally a factory-pressed silver CD was released in April 2012. Their music can be heard on their facebook and Last.fm page.